Newly-appointed Karnataka Water Resource Minister DK Shivakumar is facing trouble from the Income Tax department after a court issued a fourth summons to the Congress leader for alleged tax evasion. Reacting to the summons, which was issued on Wednesday, Shivakumar claimed that he was being harassed for no reason. The senior Congress leader in Karnataka added that he would fight it out legally. According to reports, Shivakumar said he knew “why they (IT department officials) are doing this”. 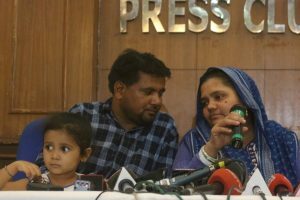 Stating that he would “speak about it at an appropriate time”, the 56-year-old expressed his faith in the law and court. Later, speaking to the media, he warned those trying to “fix” him, saying he too had enough “evidence and documents” against his rivals. “Don’t be under the impression that I don’t have any documents. I too have similar diaries with me. I will wait till the end and finally I will release them at an appropriate time,” he said without elaborating. 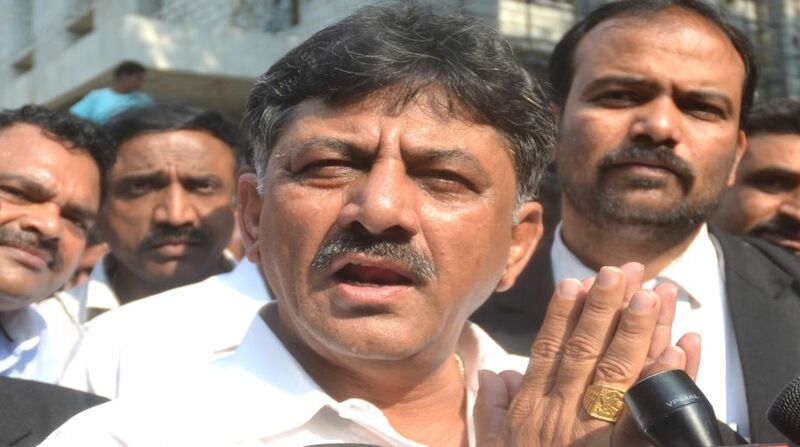 Reacting to the BJP’s demand for his resignation in the wake of raids, Shivakumar questioned their “moral right” when many of their leaders were facing “multiple cases”. Meanwhile, Karnataka Chief Minister HD Kumaraswamy said the government would stand by Shivakumar if he had not done anything illegal. “If things are legal, we will stand by (Shivakumar). …let there be no doubts on that,” Kumaraswamy said in response to a question on Wednesday. Kumaraswamy added that the Centre had long been indulging in “hate politics”, adding that “departments concerned should not budge to any pressure from politics of hate”. Deputy Chief Minister and Karnataka Pradesh Congress Committee chief G Parameshwara alleged that central agencies were being misused by the Centre against Congress leaders. “If it is still happening, it can be said that central government is misusing those agencies,” he said. Shivakumar was the main architect of the alliance formed between the Congress and the Janata Dal (Secular) following the fractured verdict of the Karnataka Assembly Elections which presented the BJP as the single-largest party but short of majority. He is credited with bringing the two parties on the same table and keeping Congress MLAs from being poached by the BJP thus enabling the formation of the government in the state under JD(S) leader HD Kumaraswamy after a few dramatic days of political shuttling.